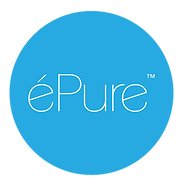 éPure is developed by Dr. Yulong Moy, a professor in Medical Science with a degree in Cosmetic Aesthetics from Florida, U.S.A. Its products only use natural ingredients, manufactured by a renowned skincare laboratory in Taiwan with a history of 30 years. Its best selling product - éPure Membranous Jelly Masque, is a jelly texture facial mask that can stick to your face and will not fall off, its functions are tone balancing, moisturizing and deep cleansing. éPure facial mask is popular in Southeast Asia and also recommended by many dermatologists in Malaysia.